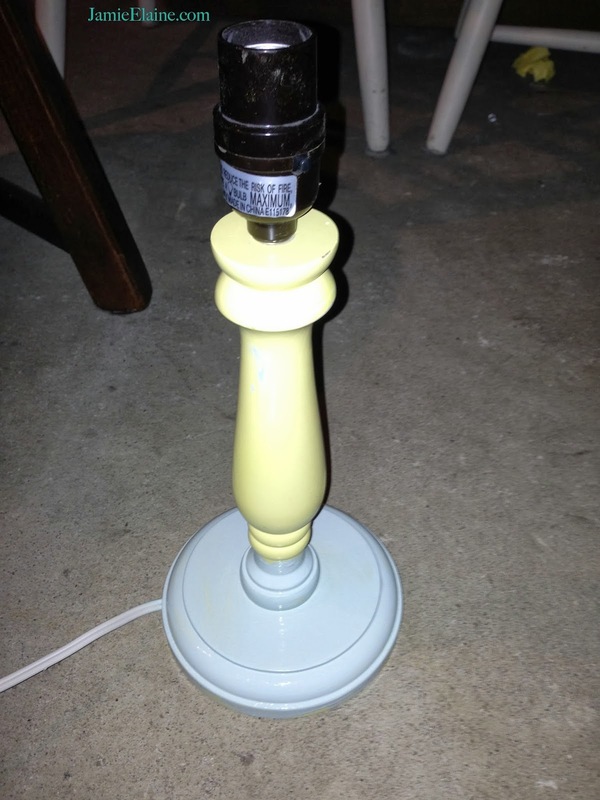 I found this lamp base at a thrift store for a couple dollars (It was all yellow, this was me remembering to take a picture after I started painting). 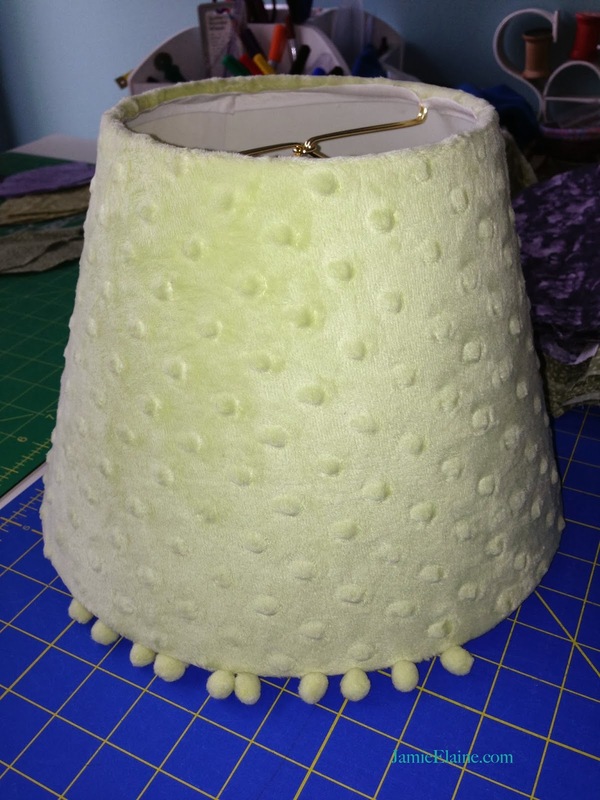 I found the perfect size lamp shade, for less than a dollar to go along with it. I ripped off the velvet green fabric and pom-pom trim, and recovered the shade using burlap and a hot glue gun. I tied the lace around the shade, but didn't attach it. This way I can easily change it out whenever I want, to give it a new look. Now this great little lamp sits on my nightstand!